Had a short stay here but I will say this is one of the cleanest and best located hostels I’ve stayed at. The staff was incredible and helpful, would definitely recommend. Man - not even sure where to start. This hostel (& the freaking amazing people who worked there) took my short Kona trip to an ELEVEN. 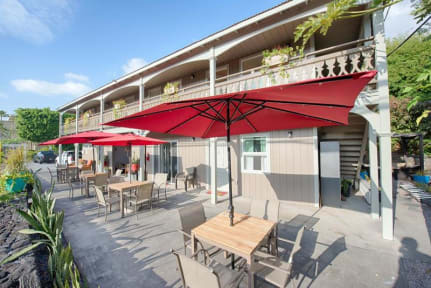 Super clean, parking on the side, great location, knowledgeable / super-approachable staff, killer kitchen area, weekend get-togethers for everyone, spacious rooms, private bathroom options. 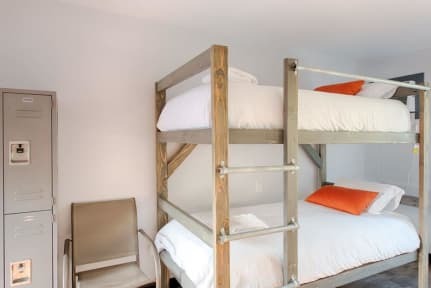 It's almost worth a trip to the Big Island purely to experience this hostel. Everything at this place was a 10! The owners, the rooms, the location....everything. This is the place to be guys! This place is great! Super clean and the hosts are friendly and accommodating. Would definitely recommend staying here. Comfy beds and welcoming staff make this a nice overnight. My Hawaii hostel is a little far from the Kona strip but honestly an awesome vibe and super cute. Rooms were really clean, the bathrooms were nice. It’s a really short walk away from Magic Sands beach so it’s perfect location for a beach vacation! Great staff. Good vibes. Across the street from the shoreline. Stayed one night in the dorm, and slept well. Great spot, very well done Hostel. Looks like something odd a pinterest board. Beds are comfortable and bathrooms are clean.and there was never an issue getting into shower or anything.